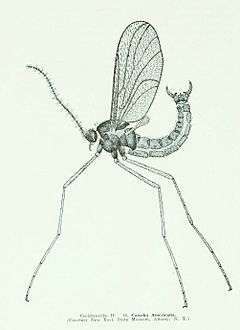 The Cecidomyiidae (sometimes spelled Cecidomyidae) are a family of flies (order Diptera) known as gall midges or gall gnats. As the name implies, the larvae of most gall midges feed within plant tissue, creating abnormal plant growths called galls. Cecidomiidae are minute to small (0.5-3.0 mm), rarely larger (up to 8 mm, wing length 15 mm) flies with a delicate appearance. Except for a few genera with reduced wings, the eyes are holoptic. The mouthparts are reduced. Cecidomiid antennae are notably long, with 12-14 segments, (sometimes fewer and up to 40 in some genera). The antennal segments either consist of a basal thickening and petiole or they are binodal, with a proximal node, an intermediate petiole and a distal node. Basal, medial, and apical whorls of hairs occur on the antennal segments. In some species, whorls of loop-shaped sensory filaments are also found, the basal or medial one sometimes being reduced. Some gall flies have only one (basal) whorl of hairs on the antennal segments, and the sensoria (transparent sensory appendages) differ in size and shape. The filaments are thread-like in the Porricondylinae and in all the Cecidomyiinae and take the form of long loops in the supertribe Cecidomyiidi). Ocelli are present only in the Lestremiinae. The wings are usually clear, rarely patterned. The wing bears microtrichia, often as scales, and some species have macrotrichia. The number of longitudinal veins is reduced. Only veins R1, R4+5, M3+4 and Cu1 are well developed in most species. The medial veins M1 and M2 are developed only in primitive groups, and the costa usually has a break just beyond vein R5. The legs are long and slender, without apical bristles. The genitalia of males consist of gonocoxites, gonostyles, aedeagus, and tergites 9 and 10. Lower (in the evolutonary sense) gall flies often have sclerotized parameres and a more or less transparent plate (the tegmen) located above theaedeagus-the tegmen. In higher gall flies, the parameres and tegmen are not developed. In these, instead, close to the aedeagus, is a triangular basal outgrowth of the gonocoxites called the gonosterna. Supporting structures called apodema are located near the base of the genitalia in males; these are often equipped with two outgrowths. 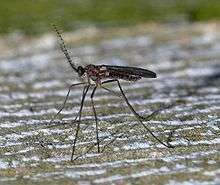 The ovipositor is short, lamelliform, or long, mobile, and in some species, acicular. A large number of species are natural enemies of other crop pests. Their larvae are predatory, and some are even reported as parasitoids. The most common are aphids and spider mites, followed by scale insects, then other small prey such as whiteflies and thrips, which eat the eggs of other insects or mites. As the larvae are incapable of moving considerable distances, a substantial population of prey must be present before the adults lay eggs, and the Cecidiomyiidae are most frequently seen during pest outbreaks. One species, Aphidoletes aphidomyza, is an important component of biological control programs for greenhouse crops and is widely sold in the United States. In South Africa, Dasineura rubiformis has been deployed against invasive Australian Acacia species. The Cecidomyiidae are also known for the strange phenomenon of paedogenesis in which the larval stage reproduces without maturing first. In some species, the daughter larvae consume the mother, while in others, reproduction occurs later on in the egg or pupa. Parasitoids hosted by the Cecidomyiidae, thereby limiting the gall midge population include the Braconidae (Opiinae, Euphorinae) and chalcidoid wasps in the families Eurytomidae, Eulophidae, Torymidae, Pteromalidae, Eupelmidae, Trichogrammatidae, and Aphelinidae. All contain species which are actual or potential biolological agents. ↑ Mamaev, B.M. Family Cecidomyiidae in Bei-Bienko, G. Ya, 1988 Keys to the insects of the European Part of the USSR Volume 5 (Diptera) Part 2 English edition.Keys to Palaearctic species but now needs revision. ↑ Darvas, B., Skuhravá, M., Andersen, A., 2000, Agricultural dipteran pests of the Palaearctic Region. In: Papp, L., Darvas, B. (Eds.). Contributions to a Manual of Palaearctic Diptera with Special Reference to Flies of Economic Importance. Science Herald, Bupapest, 565-649. ↑ Wyatt, I.J. 1961. Pupal paedogenesis in the Cecidomyiidae (Diptera).–I. Proceedings of the Royal Entomological Society of London (A) 36: 133-143. Barnes, H.F. 1946a. Gall midges of economic importance. Vol. 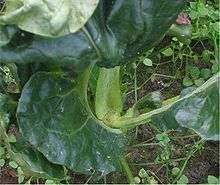 I: gall midges of root and vegetable crops. Crosby Lockwood & Son Ltd., London. Barnes, H.F. 1946b. Gall midges of economic importance. Vol. II: gall midges of fodder crops. Crosby Lockwood & Son Ltd., London. Barnes, H.F. 1948a. Gall midges of economic importance. Vol. III: gall midges of fruit. Crosby Lockwood & Son Ltd., London. Barnes, H.F. 1948b. Gall midges of economic importance. Vol. IV: gall midges of ornamental plants and shrubs. Crosby Lockwood & Son Ltd., London. Barnes, H.F. 1949. Gall midges of economic importance. Vol. VI: gall midges of miscellaneous crops. Crosby Lockwood & Son Ltd., London. Barnes, H.F. 1951. Gall midges of economic importance. Vol. V: gall midges of trees. Crosby Lockwood & Son Ltd., London. Barnes, H.F. 1956. Gall midges of economic importance. Vol. 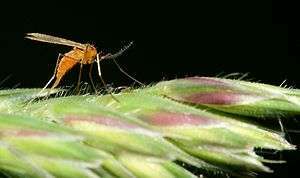 VII: gall midges of cereal crops. Crosby Lockwood & Son Ltd., London. 261 p.
Jahn, GC and B. Khiev. 2004. Gall midge in Cambodian lowland rice. pp. 71–76. In J. Benett, JS Bentur, IC Pasula, K. Krishnaiah, [eds]. New approaches to gall midge resistance in rice. Proceedings of the International Workshop, 22–24 November 1998, Hyderabad, India. Heong, KL, YH Chen, DE Johnson, GC Jahn, M Hossain, RS Hamilton. 2005. Debate Over a GM Rice Trial in China. Letters. Science, Vol 310, Issue 5746, 231-233, 14 October 2005. Mohn, E. 1966-1971. Cecidomyiidae (=Itonididae). Cecidomyiinae (part). In: Lindner, E. (Ed.) Die Fliegen der Palaearktischen Region 2(2): 1-248. Wikimedia Commons has media related to Cecidomyiidae.